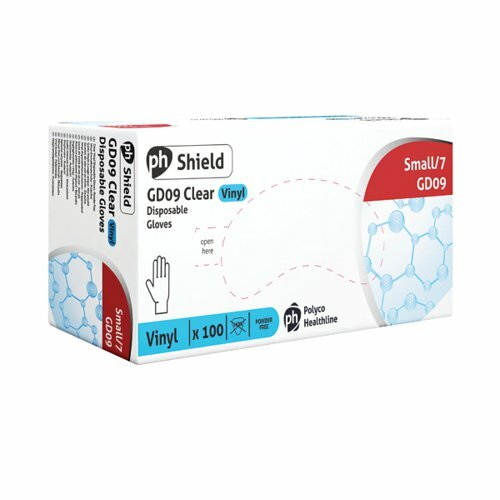 This pack of 100 Small Disposable Vinyl Gloves is the ideal choice for low-risk environments across a range of industries. Made from PVC vinyl and completely latex-free, these gloves reduce the risk of an allergic reaction for sensitive users. They provide flexible and comfortable protection for everyday environments such as food preparation, cleaning, hairdressing or decorating. These gloves are powder-free to reduce dust contamination in sensitive environments.